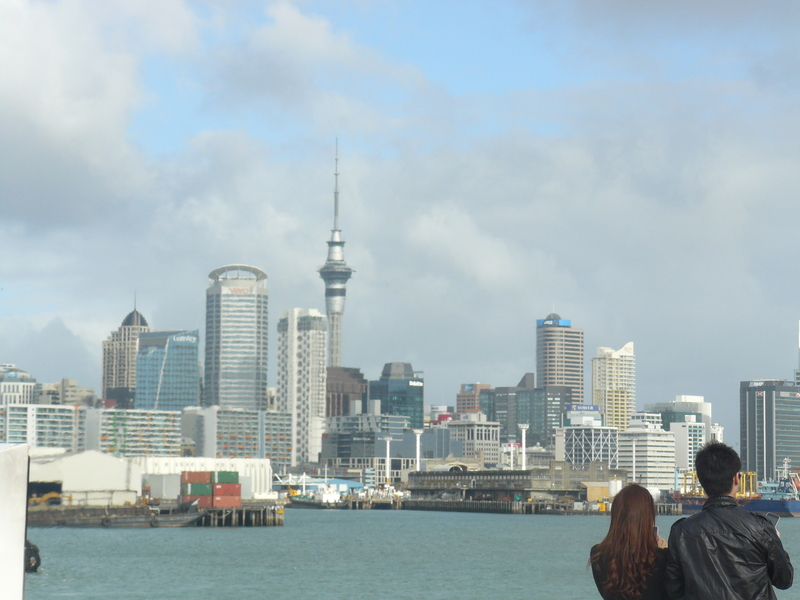 Almost six months ago, I arrived in New Zealand with the intention to eventually live in this beautiful country. Moving to another country for the first time really evokes a variety of emotions. Especially for me because it has been basically the opening of a brand new era of my life. Back in December 2010 I never would have thought in my wildest dreams that just a little over a year later, I would be moving to another country. Let alone to a country like New Zealand. I mean seriously, all I had thought about New Zealand was how gorgeous it was in pictures and movies and how everyone said it was paradise to visit. So I had figured it was a country to go on the bucket list of places to see before I die! Now it’s July 2012 and here I am in that paradise country. But to live! What amazing lottery did I win?!?! Rewind to December 2010. A girl who is burnt out from studying for some professional exams. After passing two exams, she decided to take a month off from studying and have a social and dating life for one month. She signed up for a few dating sites. One of them is a popular South Asian match making site (yes, she has a weakness for darker men but that’s another story!). After enjoying time with friends and talking and meeting a few guys (most ended up making for good ‘what not to do on a date’ stories), she was winding down the month and about to end her membership in a few days when she got a message of interest. His picture wasn’t that great (think a passport picture crossed with a deer in the headlights look) and his profile was long! Ok, so her’s was long too! But he actually mentioned things from her profile that most didn’t bother fully reading and answered how he felt about some concerns. Since he seemed to take the time to read and show he did read, she felt that he should be given a chance. Because women really do like to be listened to and actually heard! As you can guess, being that girl, I did eventually end up meeting someone from the internet. Never did I even think I would meet someone who was living in New Zealand. My first thought was “there are Indians in NZ?? ?” and “are there even enough single people in NZ?? ?” Boy has moving here opened my eyes about that silly question. That’s the stupid view that New Zealand is just sheep and beautiful landscape! I ended up spending my 30th birthday in New Zealand and finding myself falling in love (and not just with how amazing NZ is). We got engaged on that trip and then spent a few trips back and forth to each other’s country. Thankfully my family loved him as well (I didn’t doubt that they would)! In August I was finally able to quit my job and spent the rest of the year finishing off the rest of my professional exams. Then in January, I made to big leap to moving across a big ocean and spending my time in the future (comparatively speaking). Now don’t go thinking “wow, that was easy and sheesh how easy for her that happened.” I had many dating misadventures over the years (could probably be one of those girls that writes a book or blog about the dating horror stories). In fact, I was settling down to the fact that I was almost in my 30’s and needed to get even more serious about my career and to enjoy my friends and family. While by no means is 30 old, but I was getting to feel that if I met someone then that’s awesome and if I didn’t then I still have a good life and relationship status doesn’t rule if a person is happy or not (it still doesn’t). Story usually goes “and the rest is history” right? Wrong! The rest is just the beginning of the adventure! My new home… beautiful isn’t it?